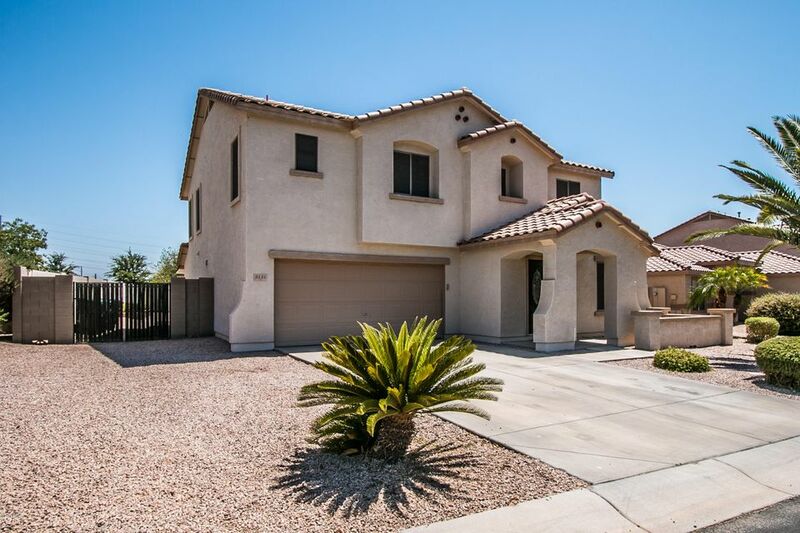 This move in ready 4 bedroom, 2.5 bathroom home also has a den and loft space! 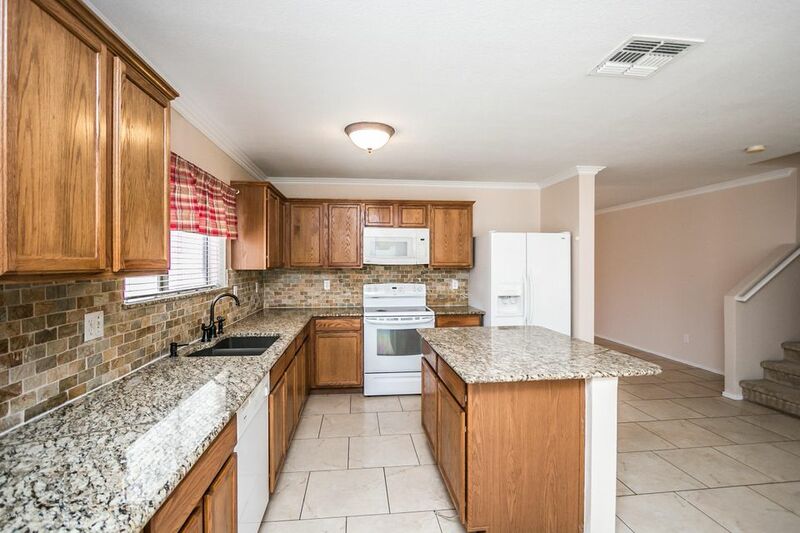 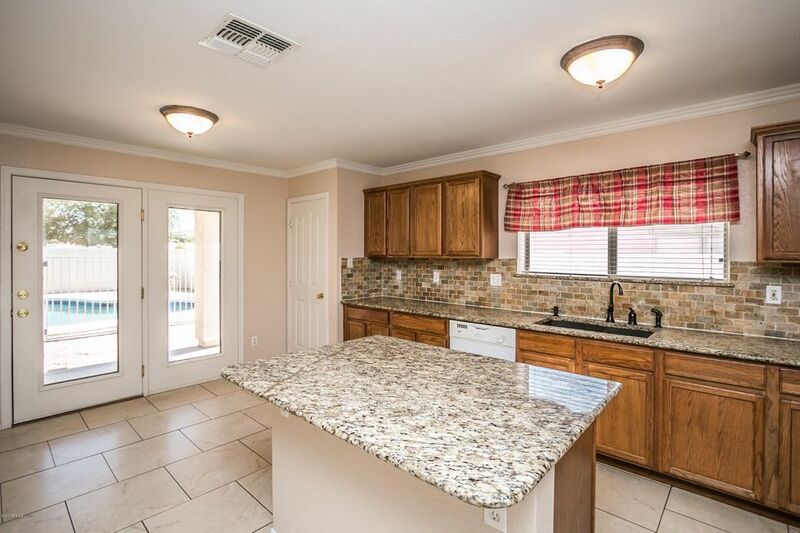 The open kitchen has granite counter-tops and backsplash with an island to spread out when you are cooking. 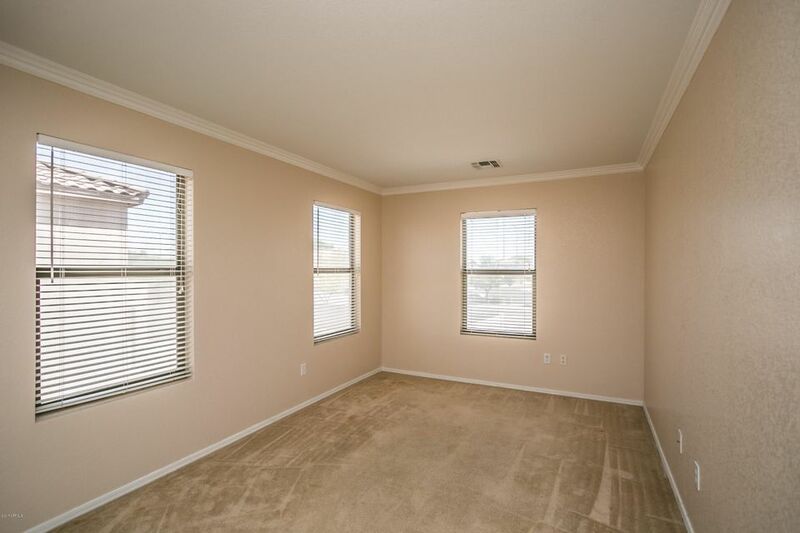 Formal living and dining area for when the company is over. 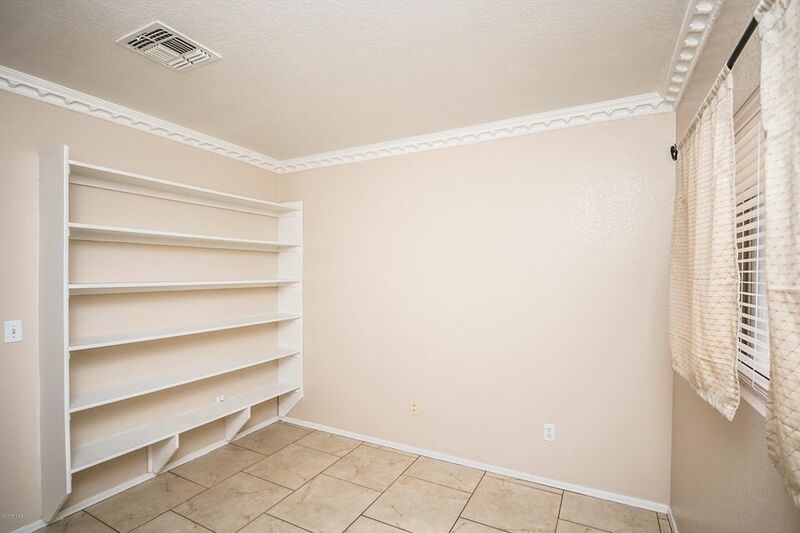 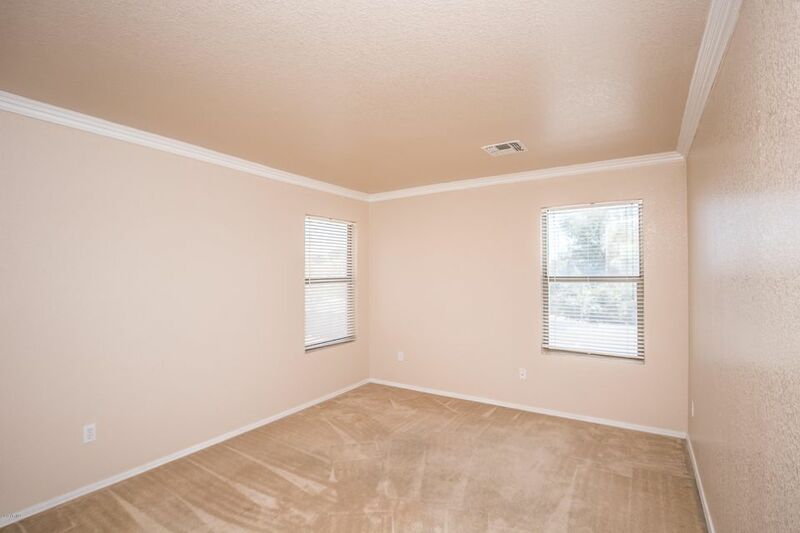 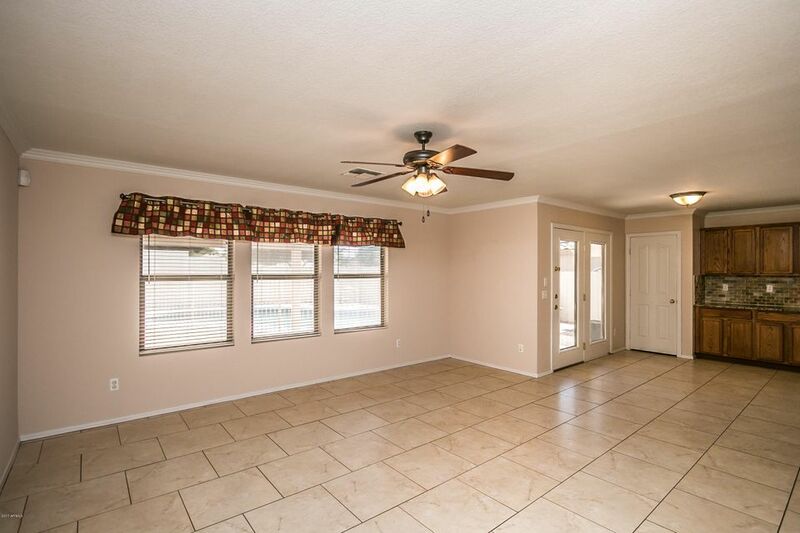 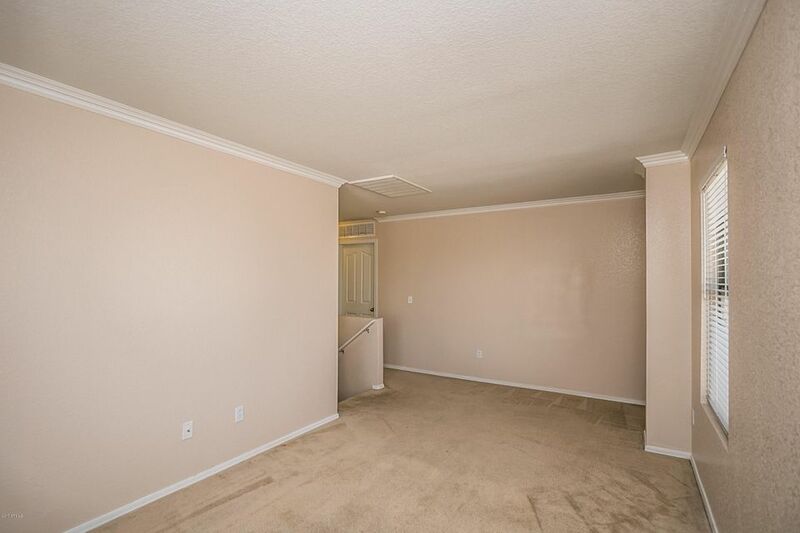 Fresh paint boasting neutral colors and crown molding. 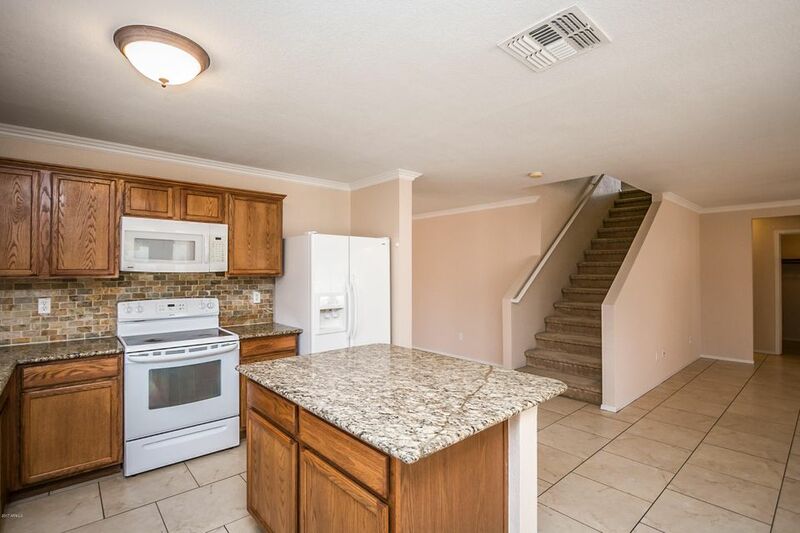 Tile through out main floor. 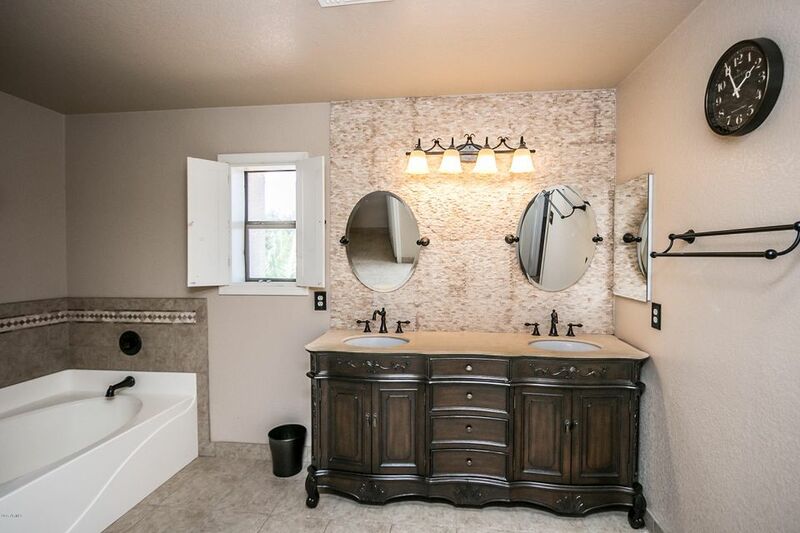 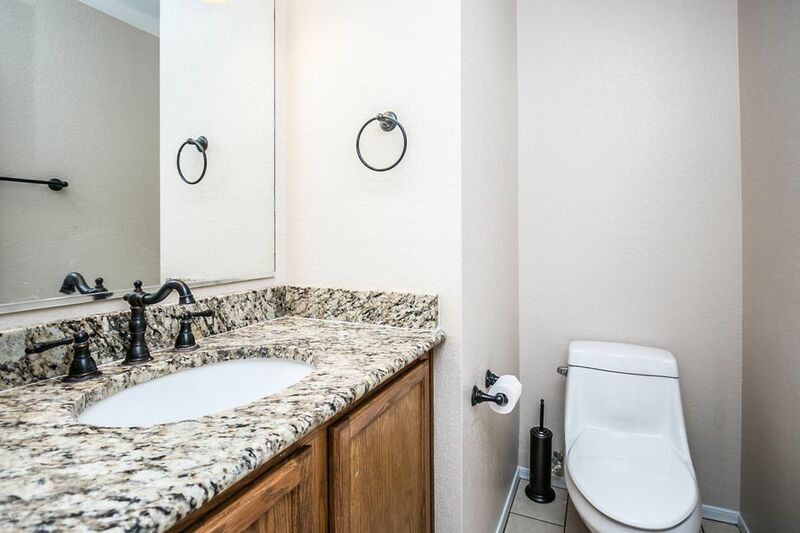 Master bath has been remodeled. 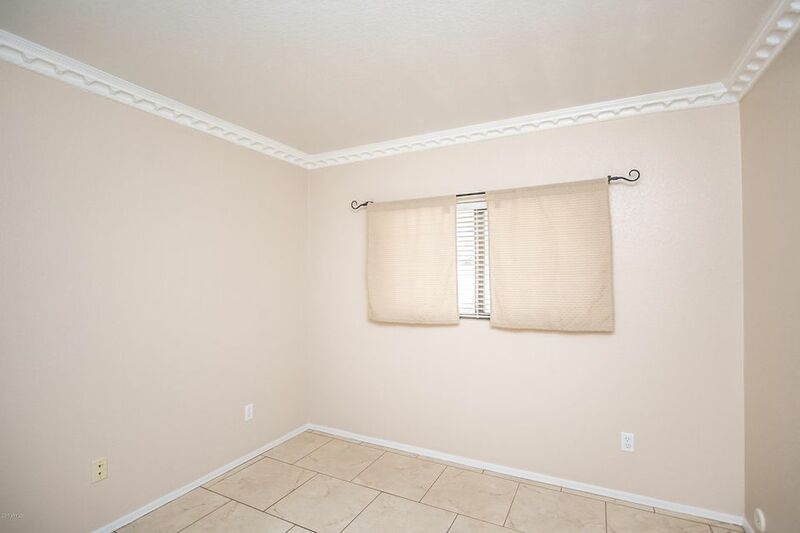 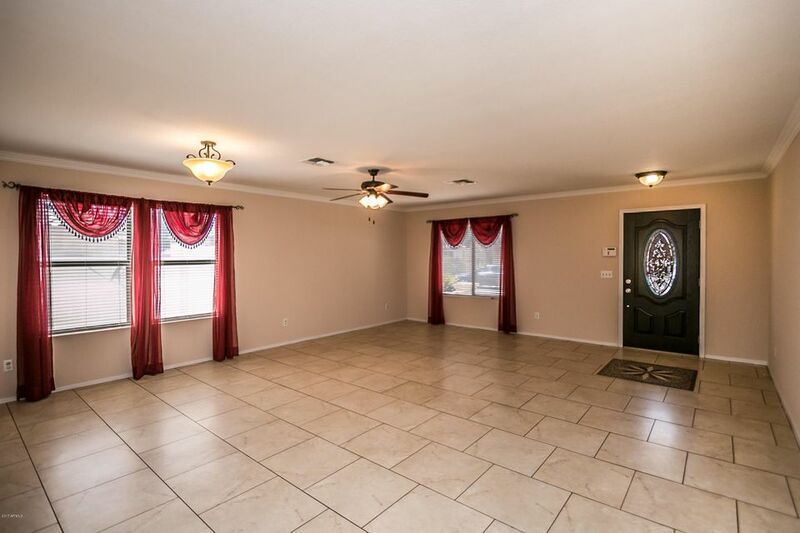 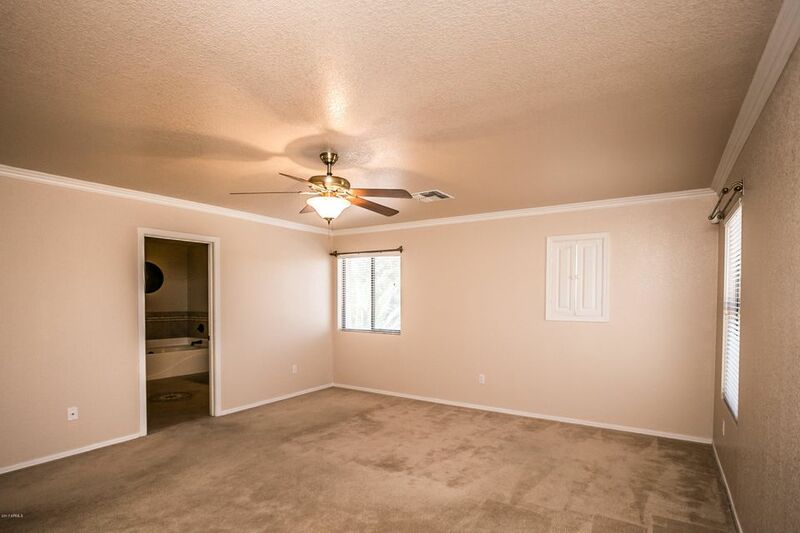 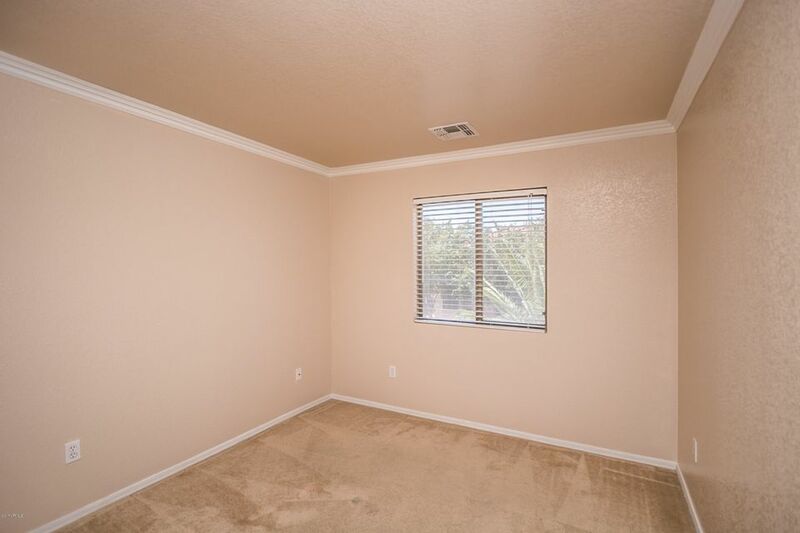 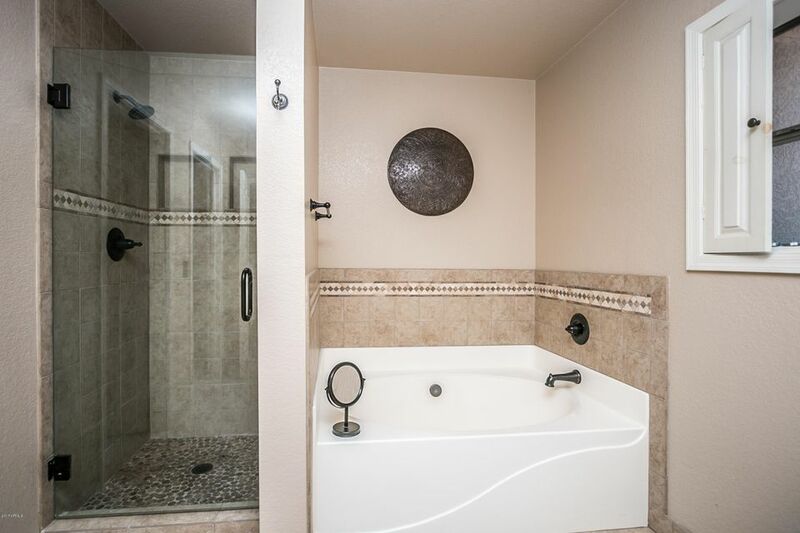 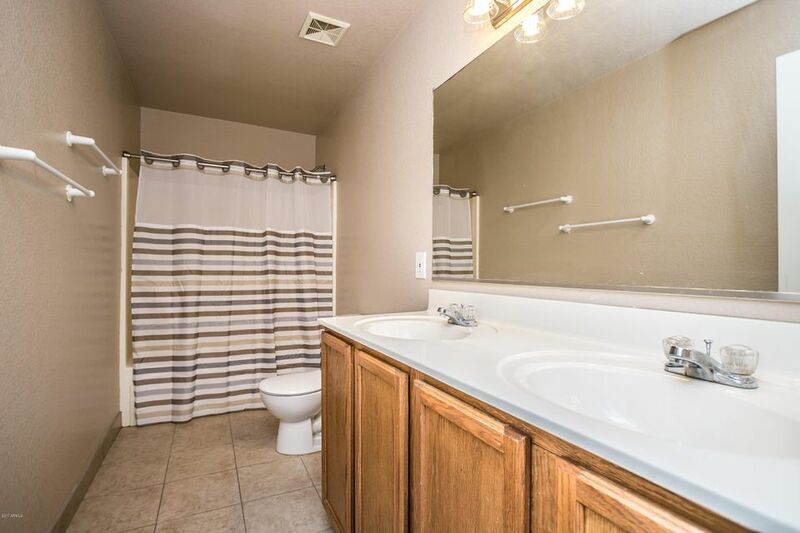 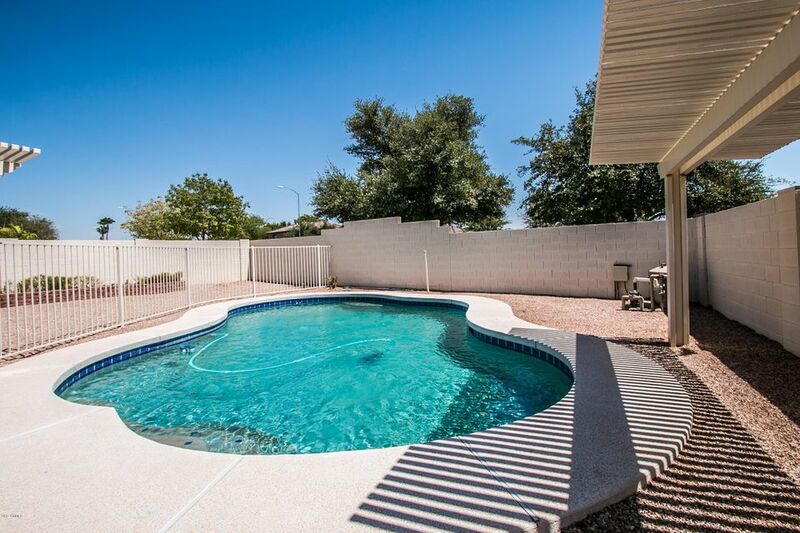 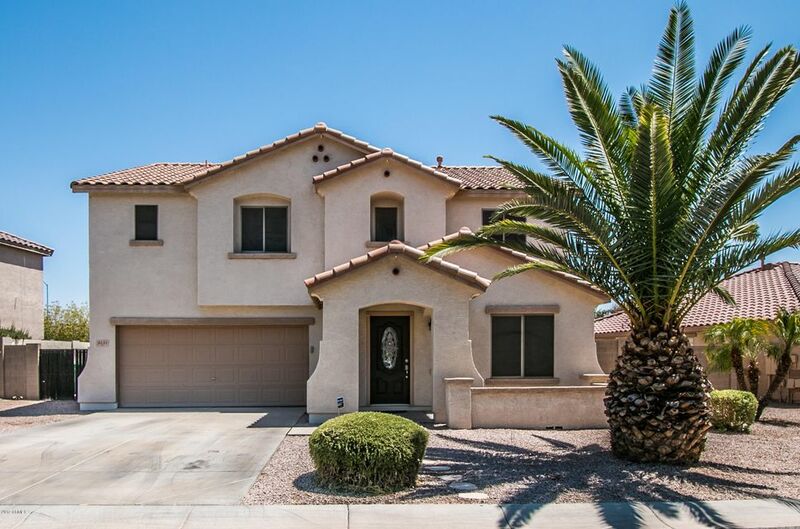 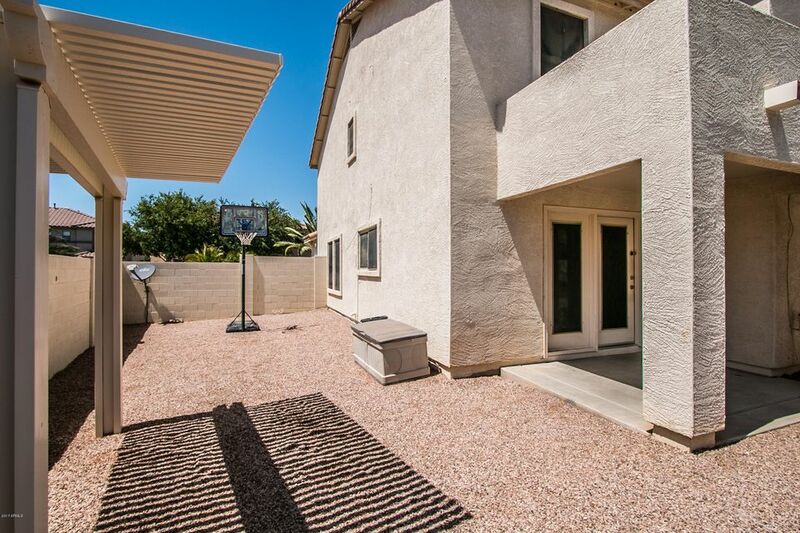 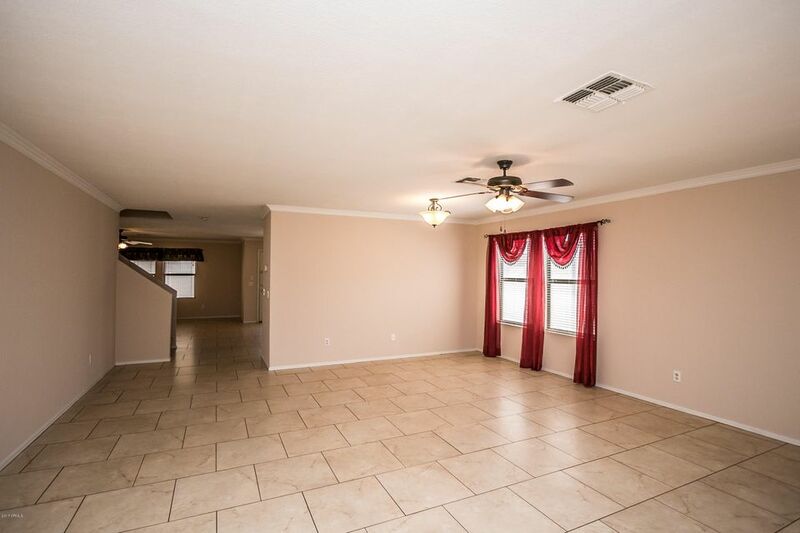 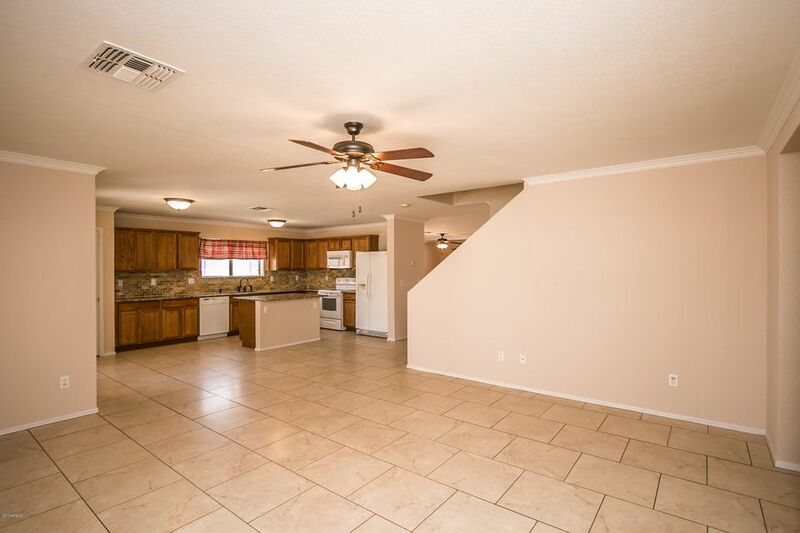 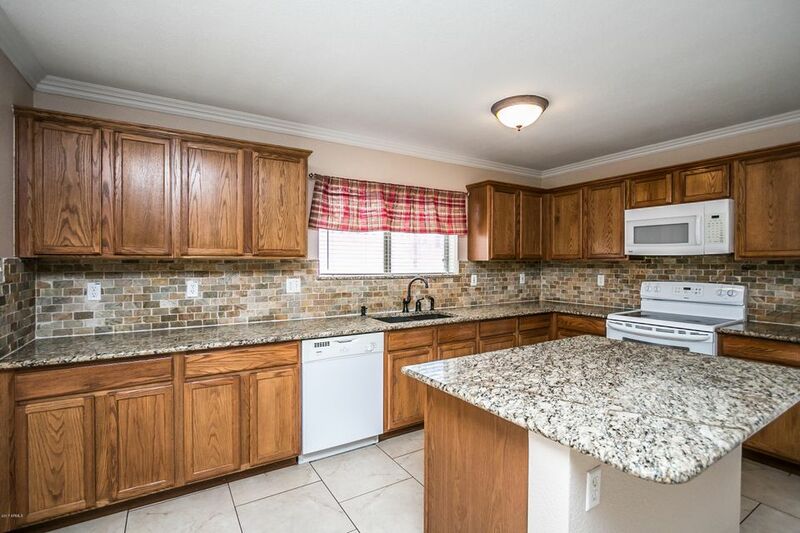 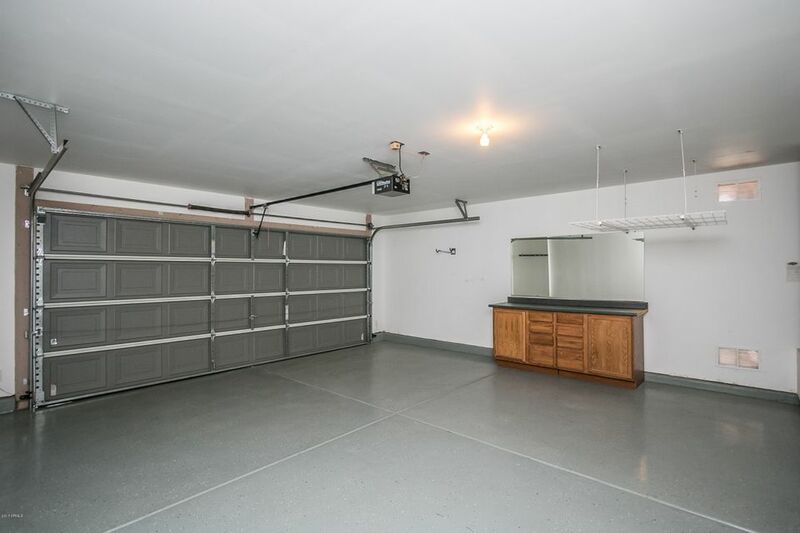 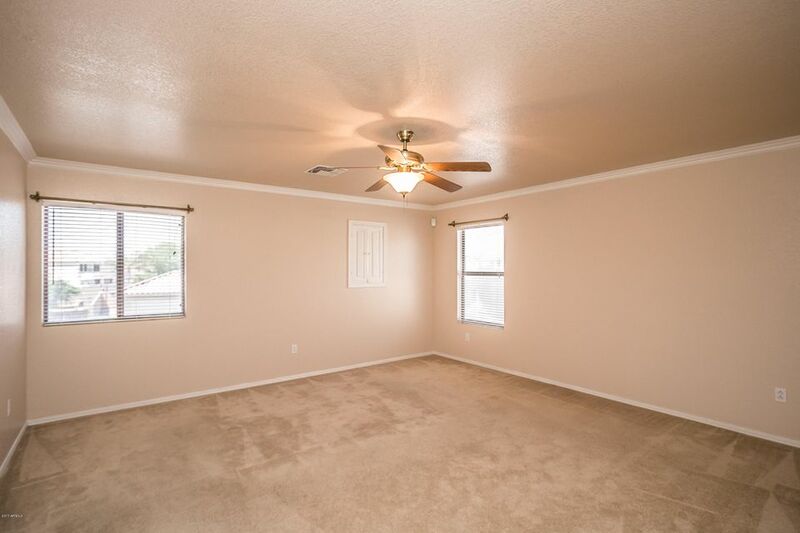 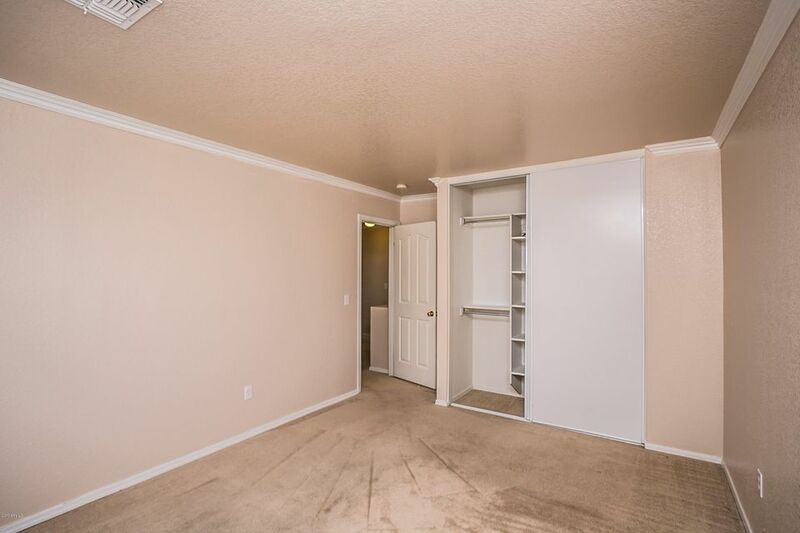 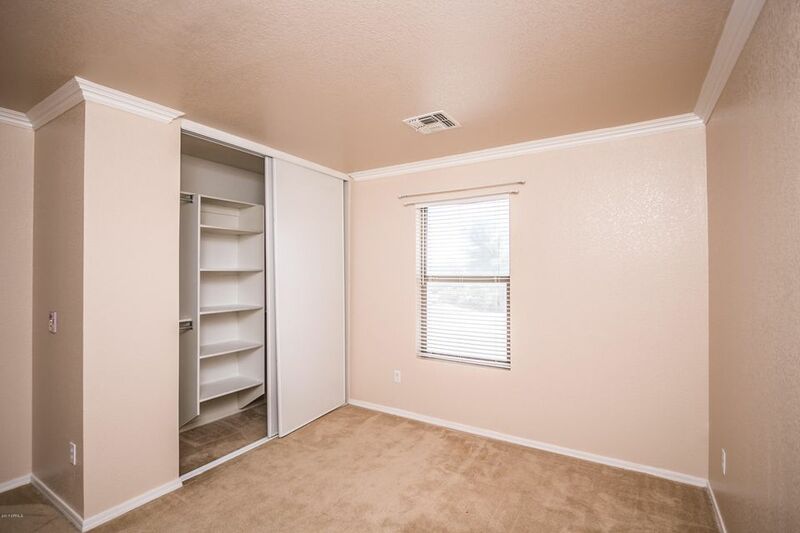 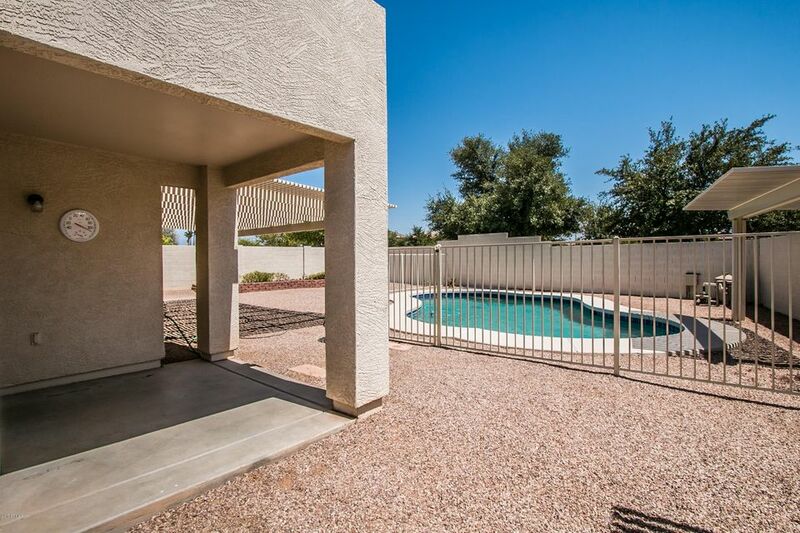 1/2 Bath has granite.Patio has an aluminum awning to keep the sun out on those hot AZ days. 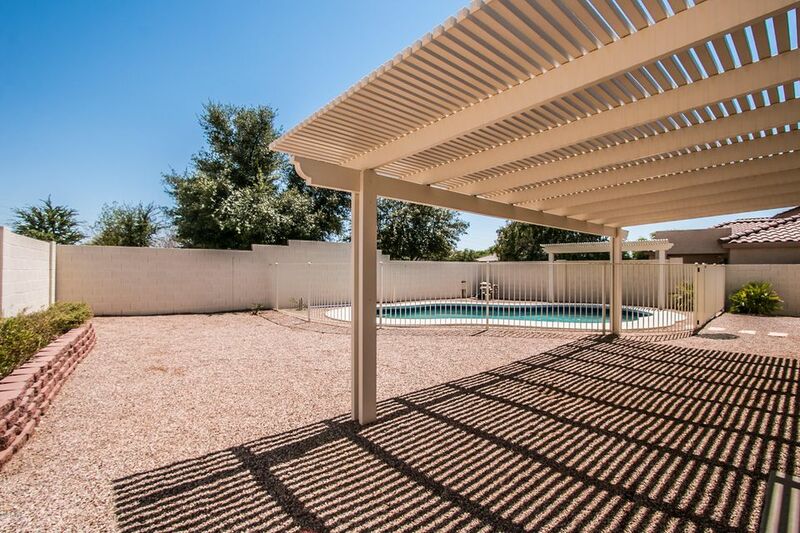 Pool is fenced and shaded. 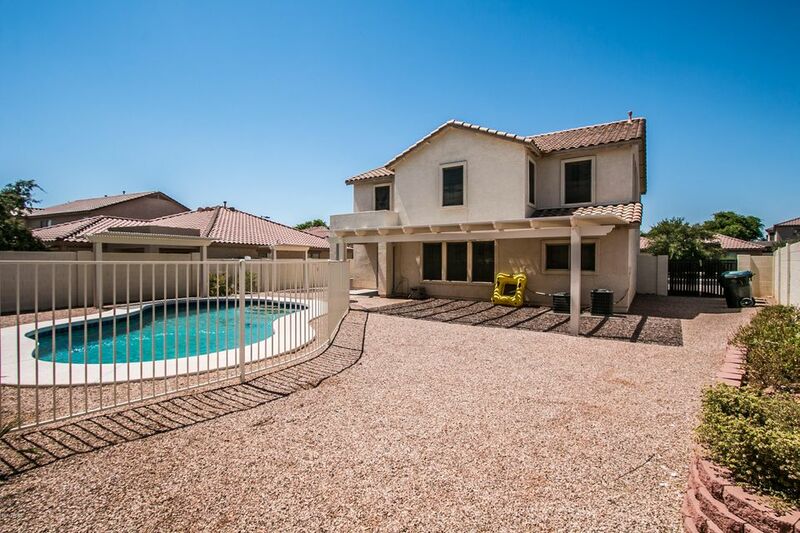 Large side yards on a large lot.